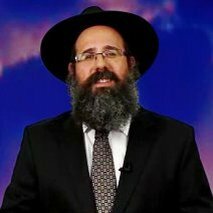 For the last 15 years I have been researching the subject of time & space within the commentaries of Chabad Kabbalah philosophy. I was in search of the Kabbalah "secret" to understanding how the esoteric realm "above" time & space relates to our own reality down "below", the reality of time & space. To my surprise, my research led me to a unique notion of "Living in the Moment" in which a person simultaneously experiences the "ultimate reality" above time & space, within time and space. This is accomplished by focusing on the moment at hand and living a life devoid of stress, worry & anxiety. To provide a practical application to my research, I developed an alternative and practical approach to "Mindfulness" based on a 6-Step process in which a person can learn to "Live in the Moment" and "Live a Life Devoid of Stress, Worry & Anxiety" in all that they do. Therefore, I wholeheartedly invite you to attend my 8-class webinar in which I present a 6-Step approach to "Living in the Moment - Living a Life Devoid of Stress, Worry and Anxiety." Author, "Living in the Moment, Living a life devoid of Stress, Worry & Anxiety"